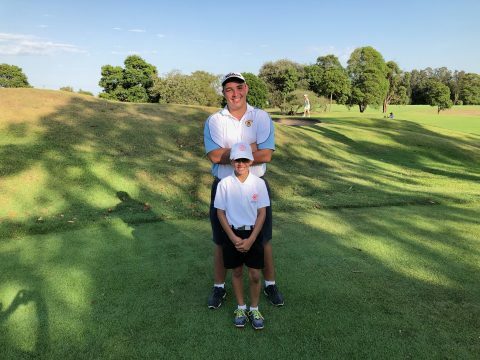 NRDGA team captain Jayme Walters (Kyogle Golf Club) played as the lowest handicapper on the NRDGA Encourage Shield Team and Zane (Moore Park Golf Club) played as his team’s highest handicapper. Jayme was taken to the wire before losing his match in the final whilst Max was successful in winning his match for his team on the 18th hole. Golf is definitely a game for all shapes and sizes.